Summary: This is a tough walk, not the longest I have done and not one with the most climbing. Comparing statistics with others it should be graded moderate but the walking on the high ground is never easy, even on the flat. 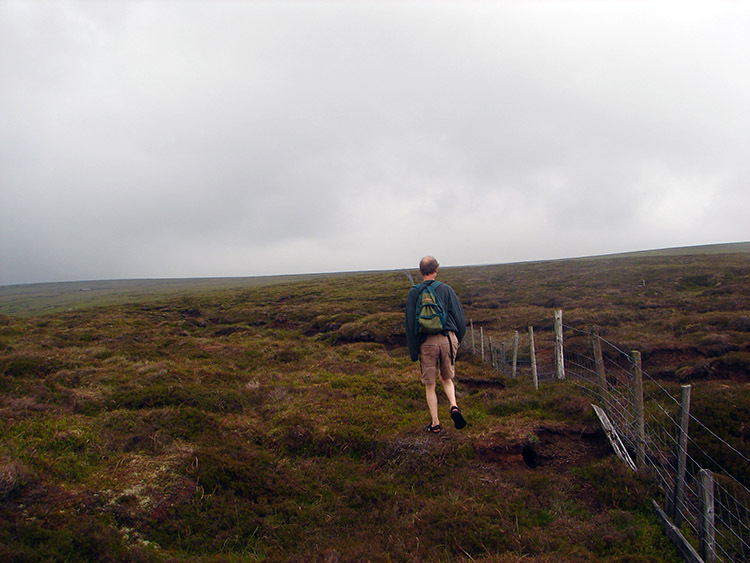 The walking between Little Whernside and Great Haw is on a watershed with many bogs to wade through. I did the walk with my brothers in summer and we were squelching so it must be a real quagmire in winter. A definite endurance walk with precise navigation required, signs are few and far between and many of the marked paths are not visible. To celebrate my brother Dave's birthday we drove to Lofthouse and met with our brother Ray before driving along the access road to Scar House Reservoir and parking up to do some real walking. I chose to ascend Little Whernside from Scar House and then walk the high ground to Great Haw before returning to Scar House as it was a walk I had planned to do for some time, the last time being thwarted by the access road to Scar House being closed. 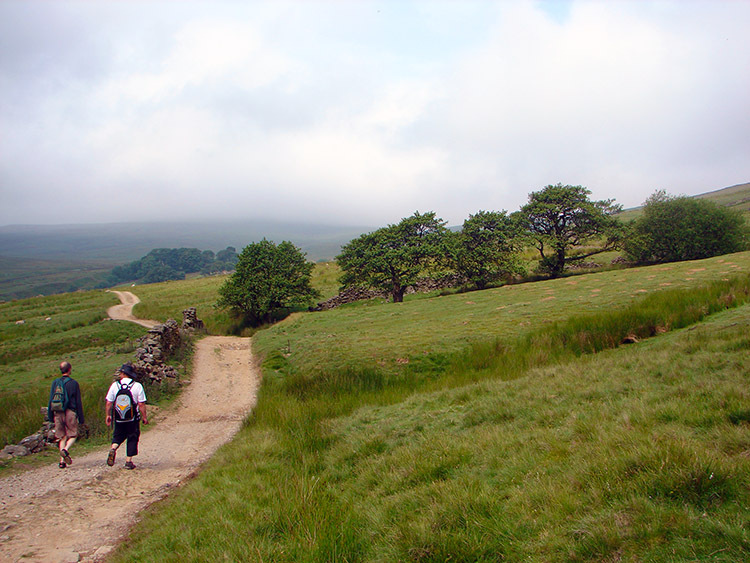 The idea of the walk had also been refreshed by Mark Ellison (see Guestbook message 478) who wrote to me on a follow up mail to his Guestbook message and saying "I am glad you included Little Whernside in your list of Highest Dales Hills, although it's like a lumpy old sponge up on top! If you haven't walked the ridge along Dead Man's Hill and Great Haw yet then I recommend it" He was not wrong about the lumpy old sponge but more on that when we get there. 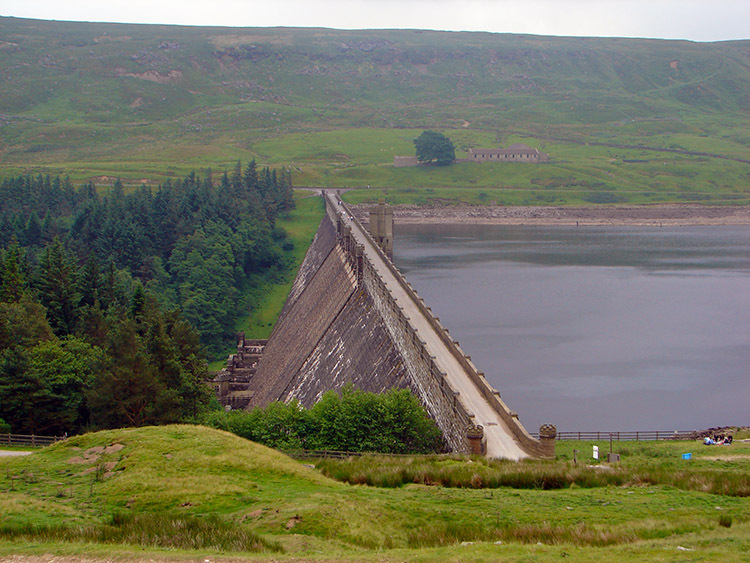 For now we've still to set off from the reservoir car park. It was a warm day with the UK enjoying a mini heatwave. However the only place not enjoying the highest temperatures seemed to be the Vale of York and the Harrogate area with a warm easterly breeze bringing cloud off the north sea for some distance inland. 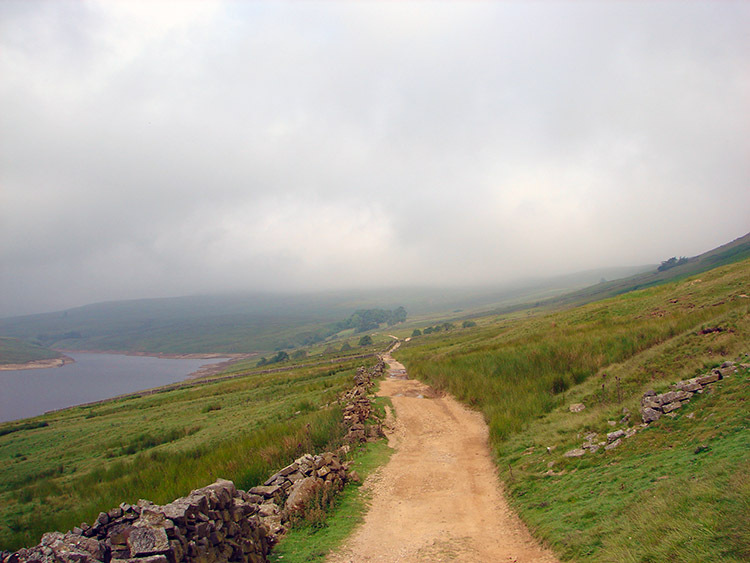 The cloud was spread to Upper Nidderdale and although we enjoyed some sunshine on the walk it was always hazy and cloud was always streaming across taking the sun away and hiding the tops of the hills. Despite this weather mix we were warm and walked all day without coats or fleeces. 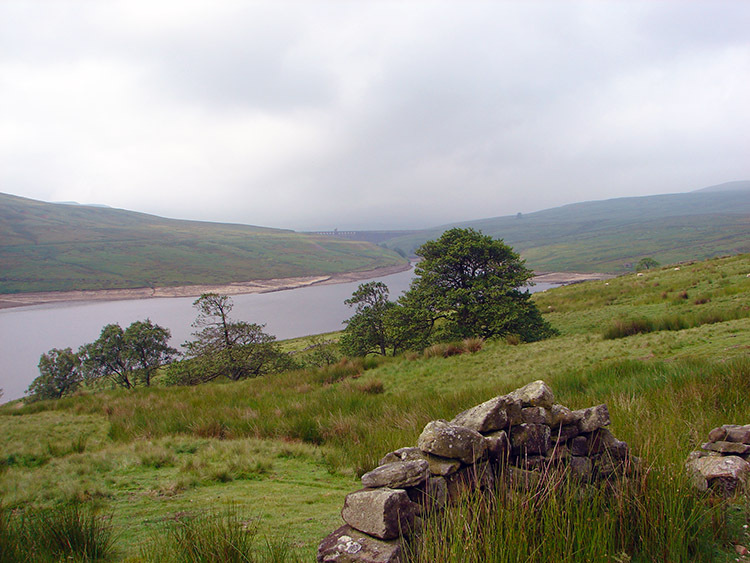 The first part of the walk was very enjoyable, a stroll along Carle Fell Road running parallel above the northern bank of Scar House Reservoir. It was a walk first interrupted by a plover determined to let us know we were near a nesting site. Only when we were clear did the plover relent from circling and screeching at us. Then another interruption, less pleasant as a darned 4x4 trundled past us on a bumpy journey on a bridleway over Dead Man's Hill into Coverdale. 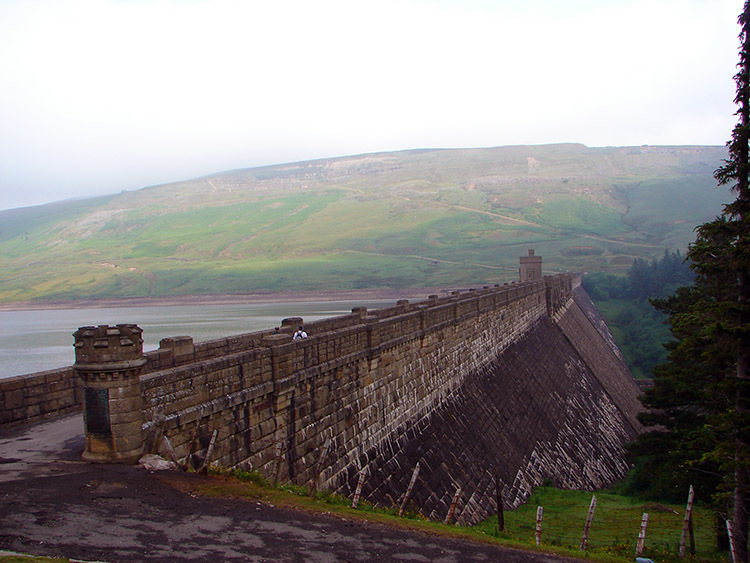 Annoying it was but soon out of mind as we walked on with views opening out of Angram Reservoir Dam. Soon we passed through a leafy copse at where on the map a Lodge used to be. No buildings were to be seen at the site, long gone, and after passing the trees we reached a T junction on the bridleway. We did not turn to the left which would have taken us down to Angram Reservoir nor did we turn right to scale over Dead Man's Hill. 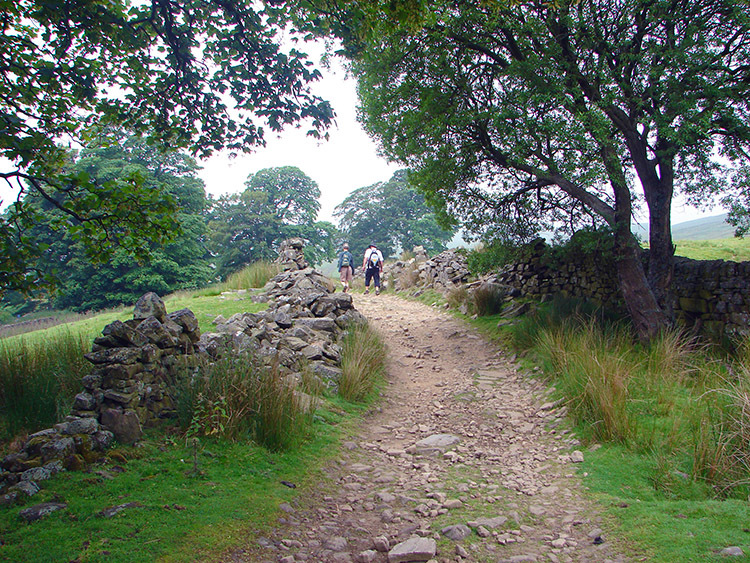 We went straight on through a gate and continued west towards Little Whernside. On leaving the bridleway we were soon working our way over sodden ground and then over more sodden ground alongside a wall up to the heady heights of Little Whernside. I was finding it tough going in the humidity and then I was strafed by midges who had quickly homed in on my sweaty brow. Instant irritation for me and instant death for many of them as they landed in running sweat and drowning. Others got a quick slap and that was that but it did not put the bleeders off and they kept coming. Nearing the top we stopped for a quick drinks break which gave me the chance to clean up. Midges were less of a hindrance once we continued on with uphill breeze helping keep them away. However the trudging through squelchy ground continued and was only relieved by a final clamber up a gully which gave us access to the top. 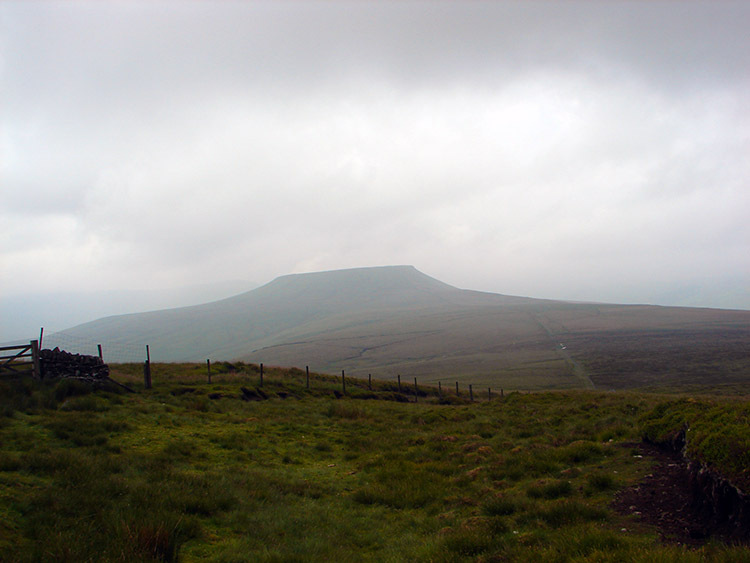 We had reached the highest point of our walk, the summit of Little Whernside at a magnificent 604 metres. 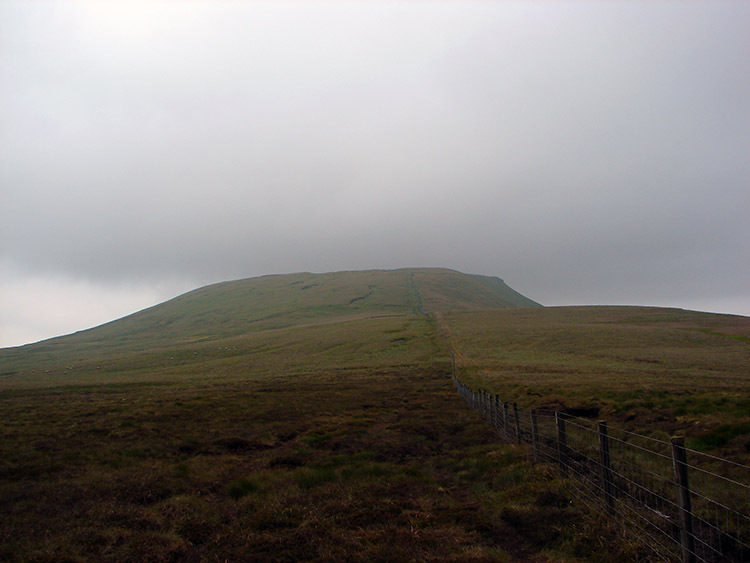 After taking a sandwich break on the foam mattress of ground that it is on the summit of Little Whernside the three amigo brothers followed the fence line east to Dead Man's Hill. 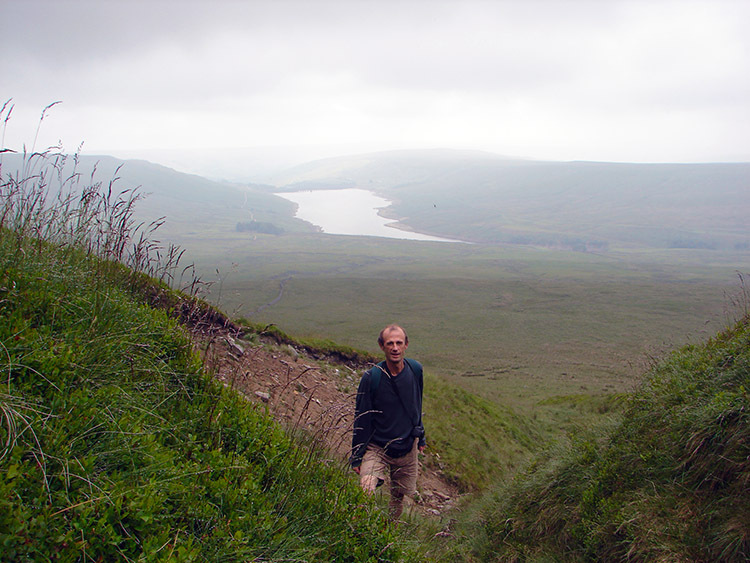 The first section descending Little Whernside was lovely firm walking but once we reached the bottom it was once again a challenge to avoid sinking into quagmire. Dave, not wearing socks chose to sink occasionally as it allowed him to clean his feet of the brushes of heather he was collecting on his feet as he walked. There were times he even detoured to find a suitable natural foot bath. After Dead Man's Hill we continued north east to Great Haw, our third and final summit. Still keeping to a fence line we passed groups of shooting stations numbered so the killers can go to their right position. Setting our sights on Great Haw then losing it as cloud shrouded the top and then setting sight on the hill once more we reached Woogill Tarn and then Coverdale Tarn. Our feet were probably as wet as if we were stood in the tarns themselves after the constant soaking from the wet ground. We were blathered from knee down. Reaching the top of Great Haw was a relief. 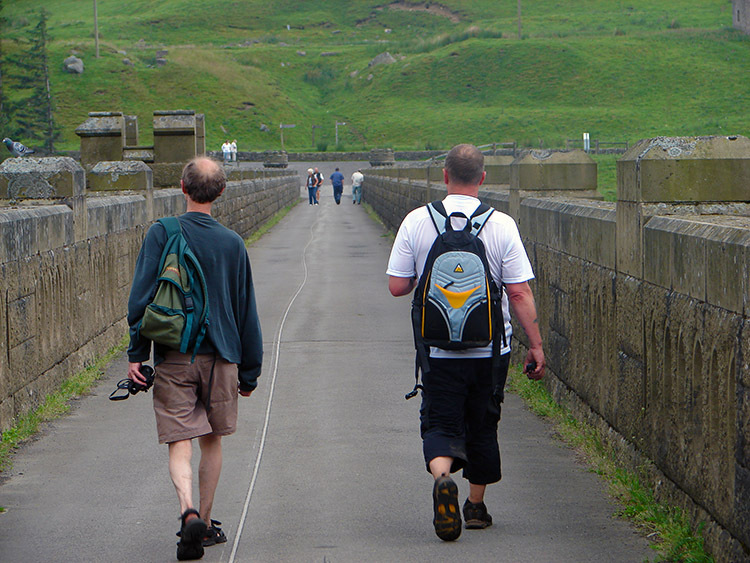 We left Great Haw and followed along York Dike drain to find a track which showed on the map leading down to Twizling Gill. We couldn't find it. Oh well, further on towards Little Haw there was another more prominent track. 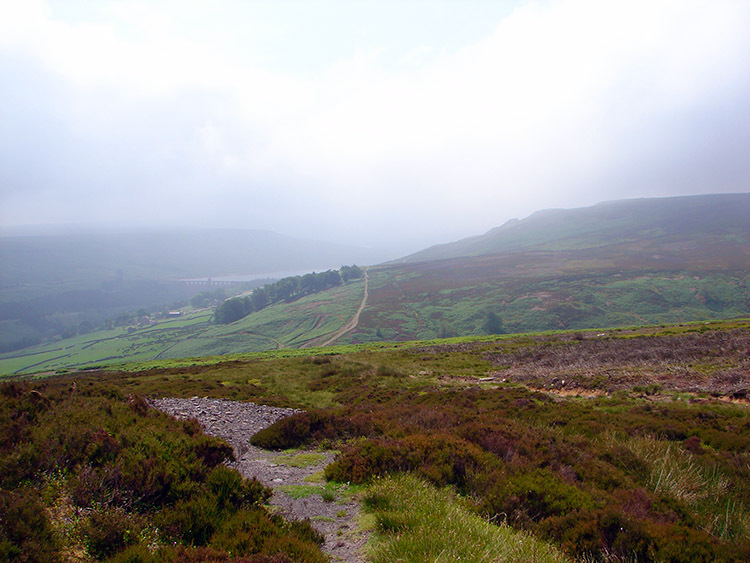 We found the start of it as it was signed but even this one soon petered out leaving us to negotiate our way off the moor without any track to see. 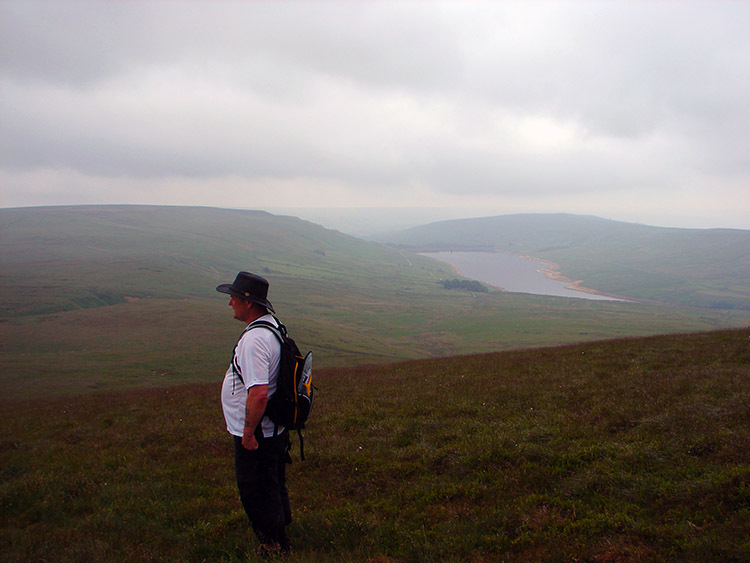 We followed my map and Ray's GPS on a parallel route to what we had marked and after about half a mile of tough walking in which Ray fell into holes twice we spotted walkers below us who were strolling alone the Nidderdale Way. We stopped for a final break, to eat, drink and recover from the past few miles walking which had never been easy, almost relentless scampering over uneven moorland. We agreed we had just completed a moorland meander for masochists! After our energy charge we walked to join the Nidderdale Way and past Woo Gill which was to lead us to a final bit of fun. 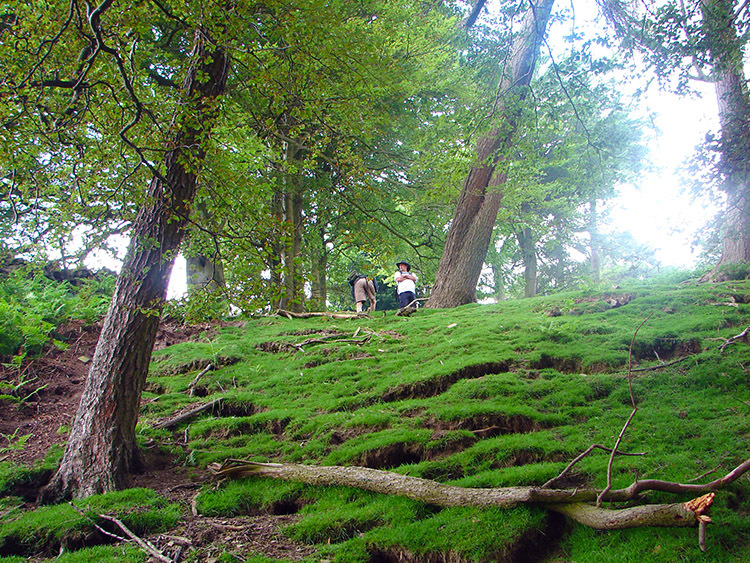 After Woo Gill a track led us off the Nidderdale Way towards Firth Plantation. Dave was confident it led us back to Scar House and I was too jiggered to look at the map so I followed. Ray had already done so deciding Dave's option looked good. After 200 metres of Dave's alternative route we came to another sign, this one obviously pointing the wrong way. "No worries" Dave said and he continued to follow a wall through ferns which took us into Firth Plantation and to a dead end. Still ebullient and with Ray in good humour too Dave then led us up steeply through the plantation. I was knackered and wished for no more climbing. 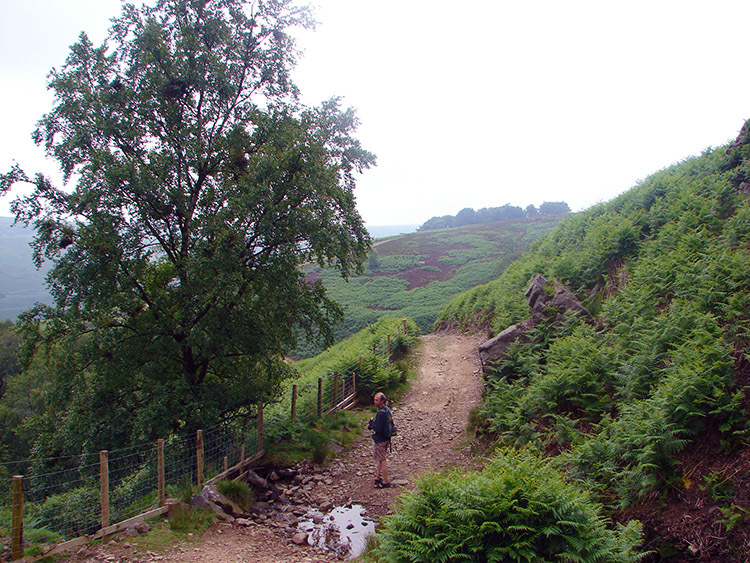 I struggled through more fern and through the trees until we finally reached the Nidderdale Way once more. I doubled over for a moment to recover my breath, I was out of energy. 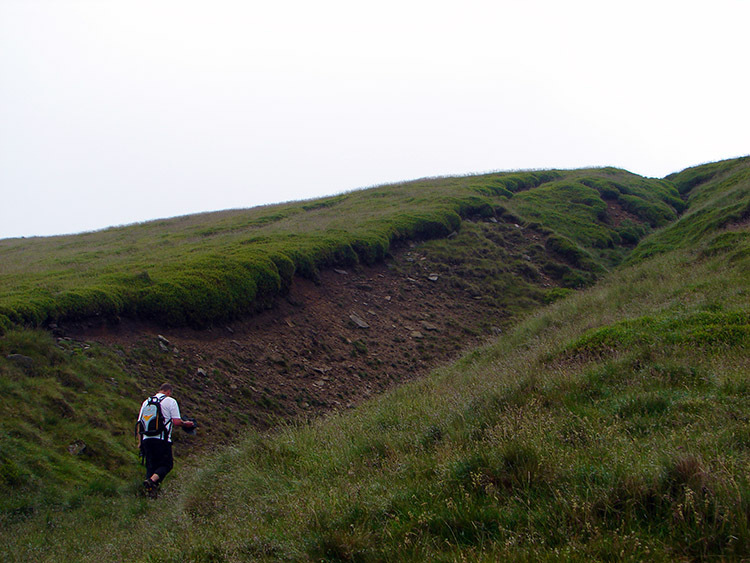 Fortunately we had only a short distance to go and soon we made a short steep descent off the hill to Scar House. This final bit taxed Ray for his knee was now troubling him. He told us he has been struggling with his right knee on downhills for some time now. You might need a cartilage job Ray. Back on the level he was OK and we were all in good spirits crossing the dam and back to the cars. Despite the tough walk we had all enjoyed the day. There was a refreshment trailer in the car park. We all had a coffee and some Lemon Drizzle Cake to celebrate Dave's birthday and to celebrate us surviving a tough walk.